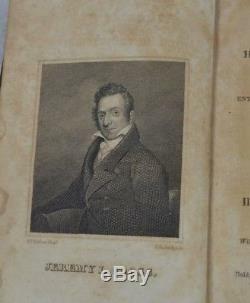 1826 Masonic Freemasonry book early Hieroglyphic Monitor leather antique rare. 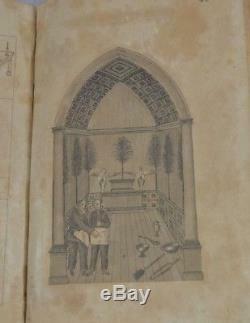 Antique "The Masonic Chart" 1826. Very hard to find book 2. Good condition with minor issues 4. 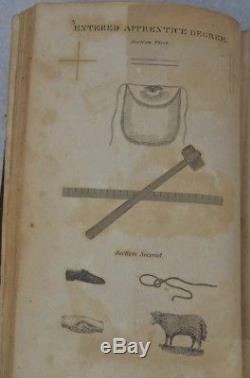 Back cover is not attached 5. 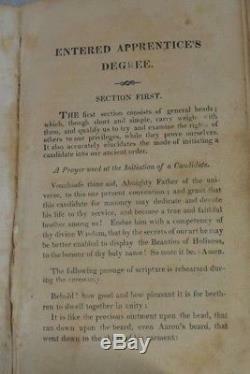 Pages have foxing, all readable 6. 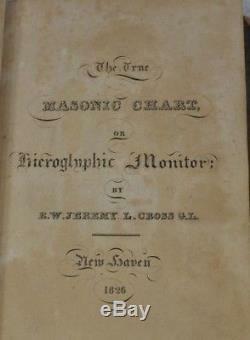 "The Masonic Chart or Hieroglyphic Monitor" by Jeremy Cross. 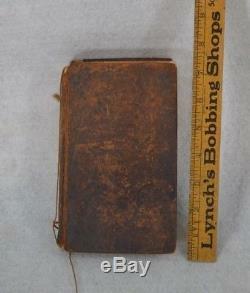 240 pages, all of the pages are there, pages are well bound 10. Pages not torn or written on 11. 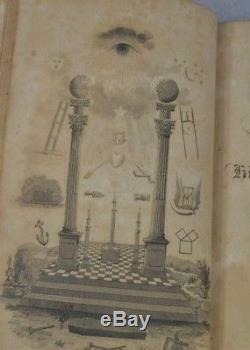 Back has many pages of Masonic songs 12. 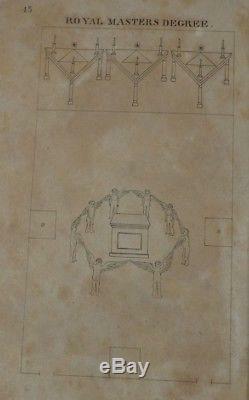 Many pages of emblems and symbols 13. 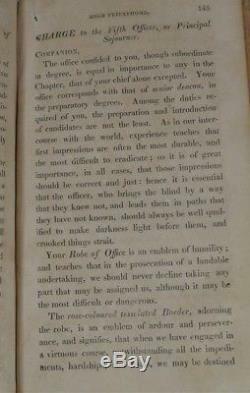 Also lists of degrees and officers 14. 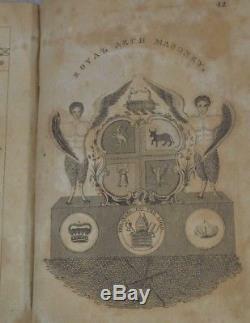 Constitution of general grnd royal arch 15. Scroll down for larger photos. All US packages have tracking and are insured. These charges are the buyers responsibility. Powered by SixBit's eCommerce Solution. 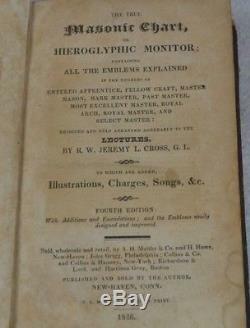 The item "1826 Masonic Freemasonry book early Hieroglyphic Monitor leather antique rare" is in sale since Wednesday, December 5, 2018. 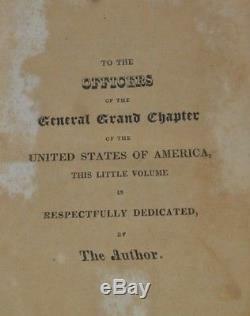 This item is in the category "Collectibles\Historical Memorabilia\Fraternal Organizations\Masonic, Freemasonry\Books & Publications".